What if you found out there actually isn’t anything wrong with you. What if all these “problems” you have are not really problems at all, but rather strengths you developed to cope with your surroundings. Is it possible you’re actually whole and just never realized it before? Yes, as crazy as it sounds, it’s true. You’re not broken. Quite the opposite in fact: You’re actually really strong. You see, human beings are by far the most advanced and complex beings to ever exist. The modern human has been around for hundreds of thousands of years! It would be pretty hard to survive that long if we didn’t have the ability to adapt to our most stressful experiences. 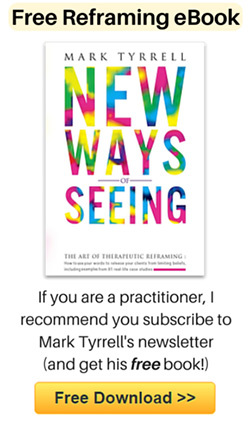 You may be saying, “OK, that’s really great but how does it relate to my chronic migraines?” It means we are all operating flawlessly based on our own internal belief systems – exactly like our very own custom-made “How To” navigation guide for survival. We are exactly how we have to be to survive our internal conditioning. These internal conditions can either encourage or prevent success on any and all levels. Psychological factors can play a major role in physical illnesses. Attention to the mind-body connection can greatly help manage chronic pain conditions and repeated patterns, thereby improving overall life quality. There is nothing to fix! There is nothing that needs to be done to get back to an “unbroken” state. We. Are. Not. Broken. We’re just really good at having our problems. 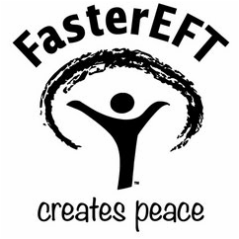 What is Faster EFT? Let’s explain. We subconsciously look for experiences that mirror the ones we already know because it’s safe and familiar, not because we actually want them. Security equals survival. 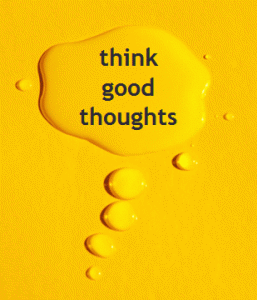 We habitually tell our minds to create less than perfect outcomes because on some level we believe the pain needs to be there for us to survive, even after the traumatic emotional event that triggered the destructive pattern or physical response is long gone. We can stop sabotaging ourselves today by changing our perception of yesterday’s experiences. We subconsciously believe we need our problems to survive, based on past experiences. And if we’re really good at having our problems, you can be assured that we’re also equally as good at not having them. All we have to do is re-route our navigation to a different destination. All we have to do is tweak our perception of those past events. Rewiring our brain can seem daunting to say the least. This is where Faster Emotionally Focused Transformation, or Faster EFT, comes in; With Faster EFT it’s a lot easier than it seems. So what is Faster EFT? Basically, it’s a cognitive modality that restructures neural pathways in the brain by using our own fingers to lightly tap on certain meridian points on the body that connect to specific fight or flight response organs. This tapping destroys neurological mind-body connections, which changes our emotional bond with any given experience. Faster EFT plucks key aspects of other leading edge intervention strategies, such as NLP, EFT, and BSFF, giving rise to a potent, super charged technique that triggers the brain to re-code itself on a deeply unconscious and fundamental cellular level. Change your perception and you change your current reality. For example, maybe I can’t seem to keep a job no matter how hard I try, not because I lack the skill set, but because I never felt good enough for my dad while growing up and my mind now assimilates my inadequacy with being undeserving of financial freedom. Or maybe I have chronic back pain from a pinched nerve, not because there’s something wrong with my nervous system, but because my subconscious associates that pain with the car accident my family was in when my mom died and I haven’t yet accepted her death. Whatever the case, if we alter the original emotional response to an experience, otherwise known as our perception, the “problem” disappears. By replacing our current perceptions with ones that actually make us feel good, we allow our subconscious mind to propel us forward into our desired reality with ease and grace. We are finally able to make peace with our past memories. And guess what happens? All of a sudden you have more amazing job opportunities than you know what to do with, or your back magically feels brand new. Life can seem confusing and completely overwhelming at times. We may not understand why we struggle so much or why we, out of all people, are stuck with the problems that we have. But when we realize that life is not happening to us, but rather through us, we take back our power and begin to shape the image we’ve always wanted but never seemed quite able to get. Did you hear that? Life is not happening to you. You are happening to Life. This is so incredibly liberating when it sinks in. So let it sink in. Sit on it for as long as you need to. The answer will always be there at your fingertips. Literally. Robert explains why tapping works and what is Faster EFT?